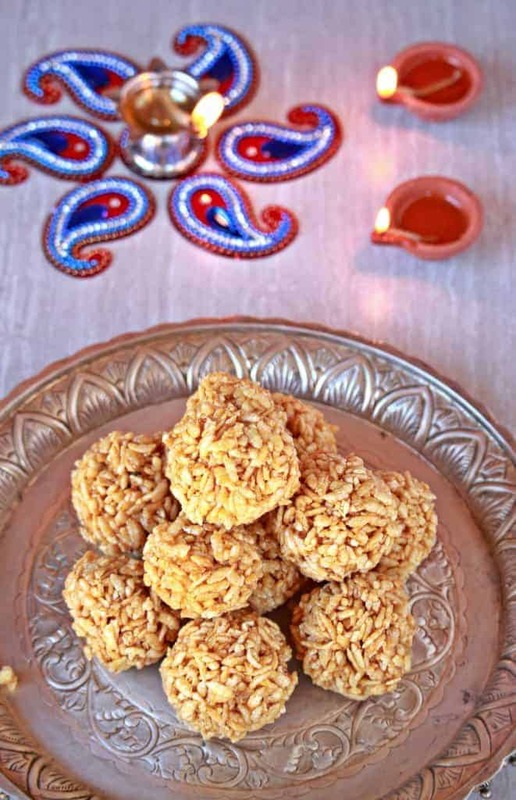 Karthigai Pori Urundai | Aval Pori Urundai, is a traditional sweet made for the Karthigai Deepam festival. 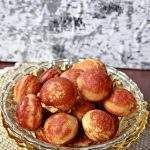 Aval pori and Nel pori are both used to make the pori urundai. Pori is nothing but puffed rice. 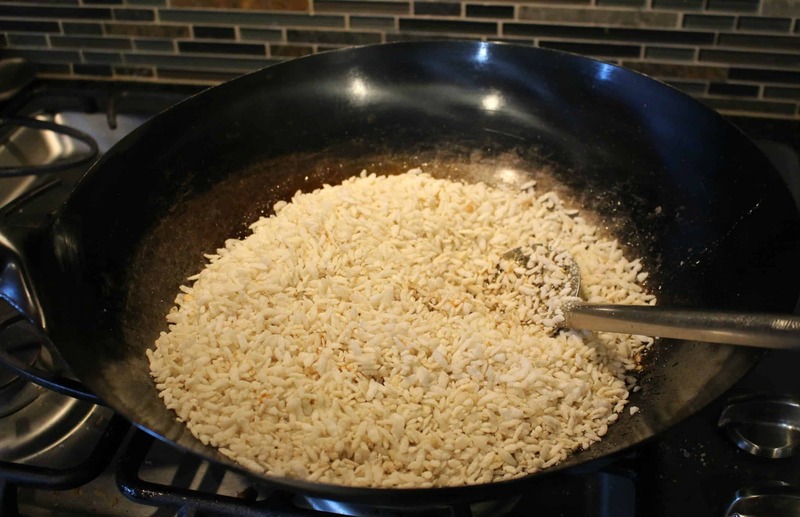 The regular puffed rice is made of rice, where it is heated under high pressure with steam. That is used in many street food like this very famous Churmuri/Beach side Masala pori or in savory snack like this Kara Pori. The regular puffed rice is easy to find here in US, when compared to aval pori or Nel pori. 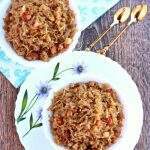 Aval pori is made by dry frying the beaten rice flakes or Aval in high heat. 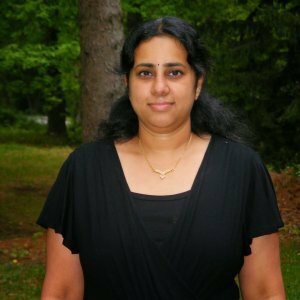 In India, it is easily found in stores during the time of the Karthigai Deepam Festival. It used to be so much fun going to the stores where we get to sample the different pori to see if they are fresh enough. They make it very fresh in the stores during the festival time. Nel pori is made with paddy. The paddy with the husk is puffed and then sieved to remove the husks. Even after we buy the Nel pori from store, we have to make sure to clean it well to remove the remaining husk as it is very unpleasant to eat them. Last month when we were shopping at our local Indian store, we found a bag of aval pori and my immediate thought was to make some Karthigai Pori Urundai | Aval Pori Urundai with it. This is the first time, I found aval pori and was very excited. The pori packet was not too fresh and I warmed it thoroughly in a dry pan to make it a little crisp before proceeding to make the recipe. 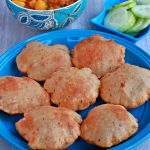 If you have a pack of any kind of pori lying in your pantry, heat it up in a dry pan for few minutes to bring back the crispness. Use a good quality paagu vellam to make the Karthigai Pori Urundai | Aval Pori Urundai. 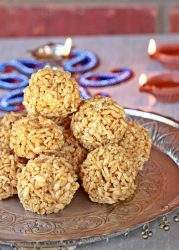 The regular vellam/jaggery does not yield the sticky consistency and forming the balls would be hard. Bits of freshly chopped coconut is added to the Karthigai Pori Urundai | Aval Pori Urundai. I did not have fresh coconut and hence skipped it. 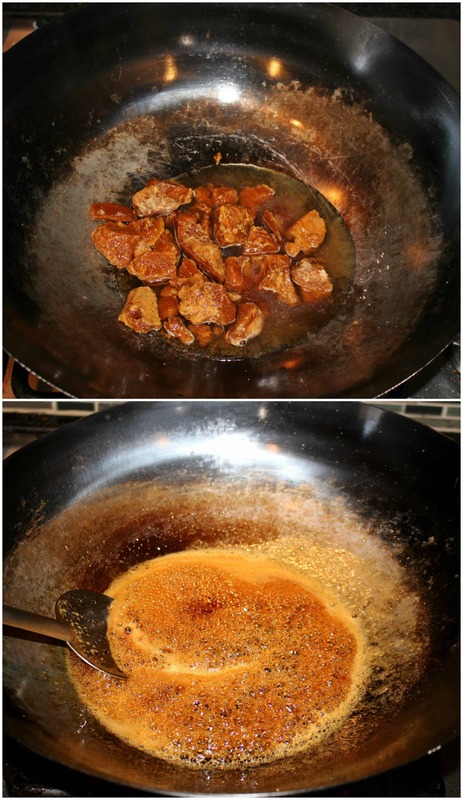 In a pan, add the chopped coconut pieces and fry them in low heat until they are light brown. Remove and keep it aside to use later. I did not have coconut and hence skipped this. In a wide pan, add the measured jaggery and about 1/2 cup of water. Let the jaggery melt and come to a boil. Strain the mixture and return it to flame again. The jaggery we get in US is usually free of any impurity and hence I skip the filtering part. Let the syrup boil well and come to a soft ball consistency. This means that when you drop a little bit of syrup in cold water, we should be able to gather it with our fingers and form a ball. 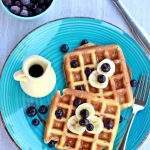 The syrup should hold its shape intact and it will harden upon cooling. This is the right consistency of the syrup. At this stage add the coconut pieces and cardamom powder. Mix well. Add the measure Aval pori into the pan and mix well to combine. Turn off the heat and immediately start rolling them into balls. This has to be done when the mixture is still hot. When it cools down, it will become crumbly and will be hard to roll. Using some rice flour to dust the palms helps to bear the heat and roll. 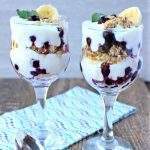 If making the syrup in large quantity for both aval pori and nel pori, then we can add the syrup to the pori as needed and mix. Let the rolled balls cool down completely and then store it in an airtight container. It is important to use good quality Paagu vellam to make the pori urunadai. Crisp up the pori if it slightly old to make it fresh tasting again. The consistency of the syrup is very important to form the balls. If it is under or over cooked, we won’t be able to roll it. The taste would still be good and we can serve as is, but to roll it into balls, the consistency has to be perfect. It comes by practice and could take couple of times before we master it. Roll the balls when the mixture is hot. If let to cool down, it will crumble and we won’t be able to roll. This has to be done when the mixture is still hot. When it cools sown, it will become crumbly and will be hard to roll. Using some rice flour to dust the palms helps to bear the heat and roll. 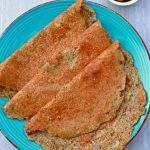 It is important to use good quality Paagu vellam to make the pori urunadai. Crisp up the pori if it slightly old to make it fresh tasting again. The consistency of the syrup is very important to form the balls. If it is under or over cooked, we won't be able to roll it. The taste would still be good and we can serve as is, but to roll it into balls, the consistency has to be perfect. It comes by practice and could take couple of times before we master it. Roll the balls when the mixture is hot. If let to cool down, it will crumble and we won't be able to roll. 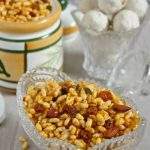 Love to munch this incredible pori urundais, but have not tried yet with aval pori, this puffed rice flakes sounds like a nice and healthy twist to the usual puffed rice. Wish i get some rite now. Love this karthigai poori, but so far i haven’t seen them in our grocery store. Pori urundai looks so delicious and you have shaped them well. Would love to grab few from the plate !!!! This is one dish I love during Karthigai festivals. We get this type of pori only during the month and so it is kind of special. 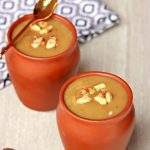 The pori urundai has turned out perfect Sandhya..
A lovely traditional recipe. 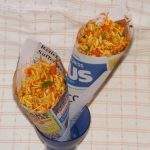 Though we don’t make this for a specific festival, whenever my grandma used to make we were first in line to finish these off 🙂 My grandma used to make tiny ones for us ! Initially finding nel pori was bit difficult but now in Bay Area no complaints. Love those perfect balls and the very detailed explanation. Beautiful and tempting clicks.. Who would say no for this pori urundai.. Yummy share..
Wow..anytime ladoo time .These ladoos are light , crunchy and delicious to the core..my hubby just does’nt let me eat as they make a mess..ha ha ..but jokes apart these are the best and you have made them perfect. Such a fantastic dish Sandhya, we wait for the karthigai deepam only for this..hehehe..amma always makes it with both aval pori and nel pori, sad we don’t get it too during other times..
A very nice traditional recipe. It was informative to read about different kinds of puffed rice. 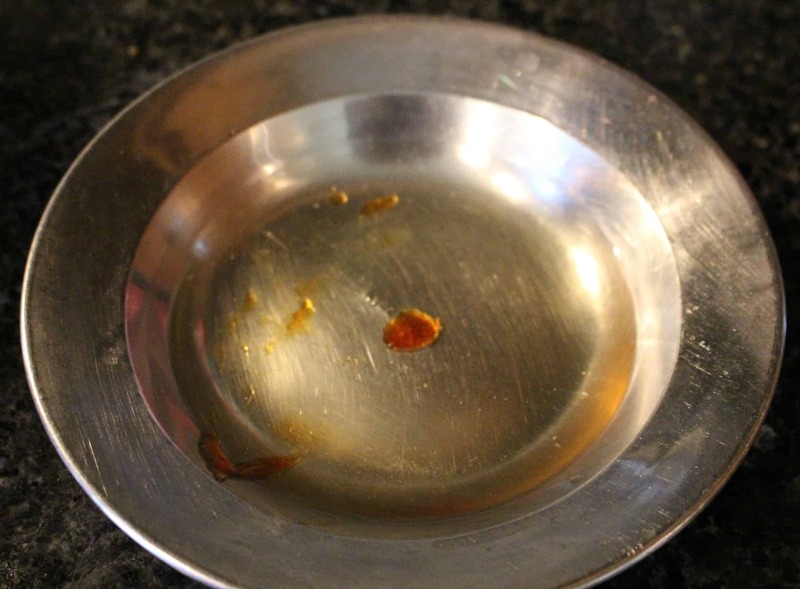 The ladoos must have been so crunchy and delicious. i still remember the innumerable trials and tests i made, to get this perfect after my marriage!!! For the first karthigai, my hands were so pink, trying to make balls out of the hot mixture, but didn’t get to make the balls, so we enjoyed it as such! So beautifully done sandhya! 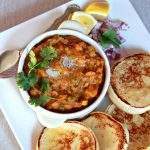 Yes, once we master that paagu consistency, this is one easy to make dish!! Looks perfect!! We also make it on Diwali festival, normally we get ready made in India but here have to make it at home. I love your perfectly shaped ladoos. Each year I plan to make this around karthigai time but never got around to actually prepare it! Yours have turned out so well Sandhya. 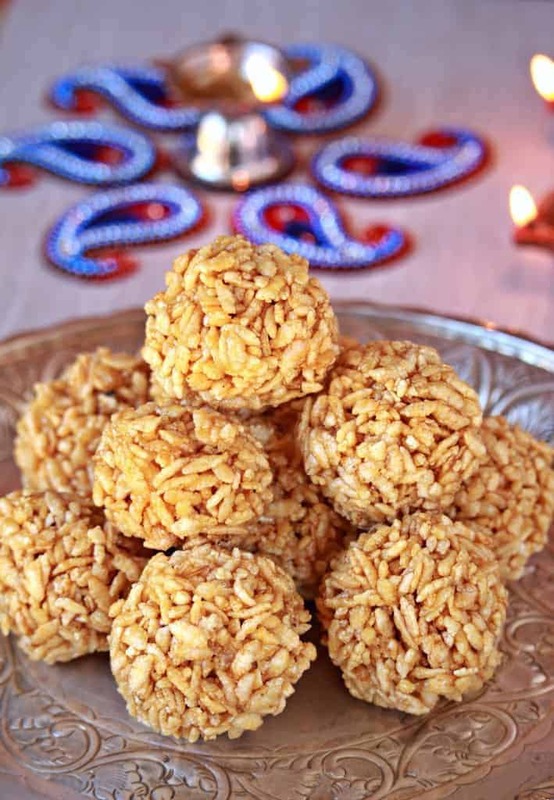 Crunchy and delicious looking poha laddoo Sandhya. You made it sound so easy to make — I will have to try these easy to make laddoo some time. 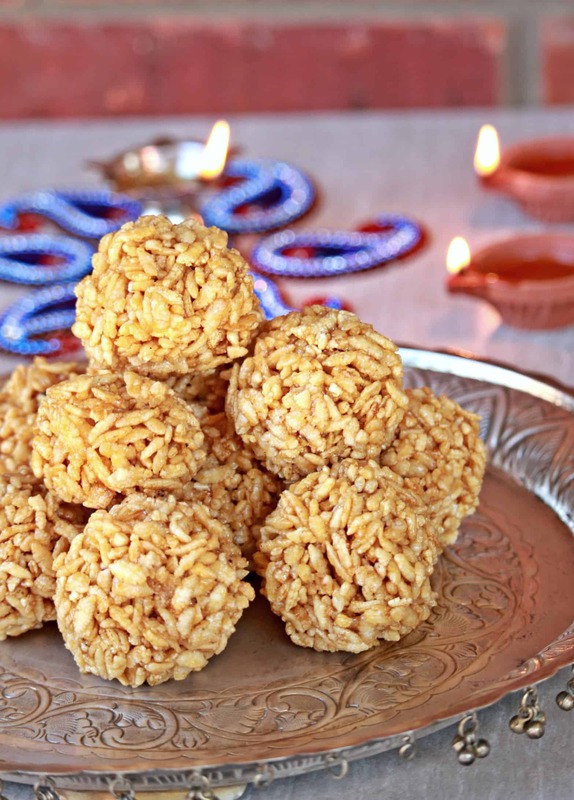 Love the crunch and taste of this laddu.. so perfect for festive season.